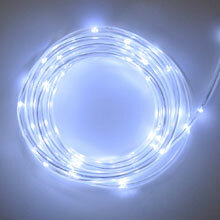 LED battery operated Rope Lights/Tube Lights are a great, energy saving way to add accent lighting to any indoor or outdoor lighting decorations. 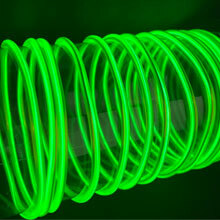 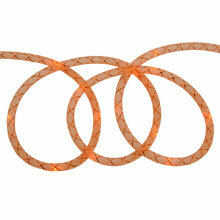 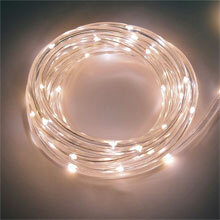 LED rope lights provide up to 85% in energy savings over standard rope lights. 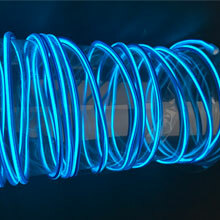 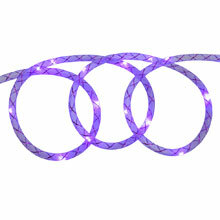 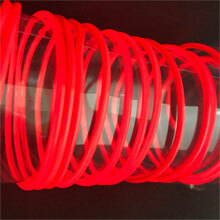 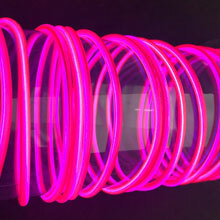 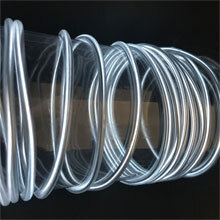 We have a large selection of Standard Rope/Tube Lights available in our Party Lights section as well. 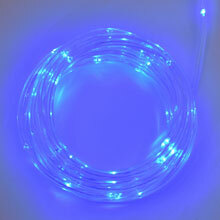 Orange LED Mesh Rope Light w/ Timer - Battery Operated - 15 ft.
Purple LED Mesh Rope Light w/ Timer - Battery Operated - 15 ft.